This 1978 GMC van was custom painted by "well known Canadian artist" G.S. Roy and remained in one Ontario family until 2012, when the current owner, a Vancouver dad, bought it. 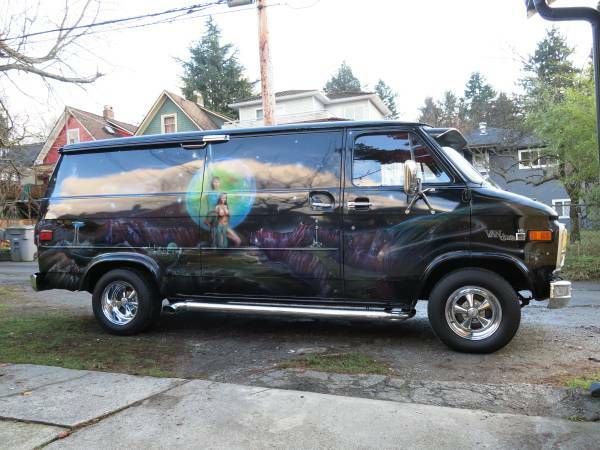 He is now selling it because, "(we would like to shrink the family vehicle stable a bit as we now have two small boys and no time)". It appears to be in immaculate original condition, with a few thoughtful upgrades and repairs. "Currently I have a bench seat with quick release function installed behind the captain's chairs (for my kids; the original swivel 'buckets' did not have seatbelts)." Basically everything that's not chrome or airbrush is covered in red velvet. 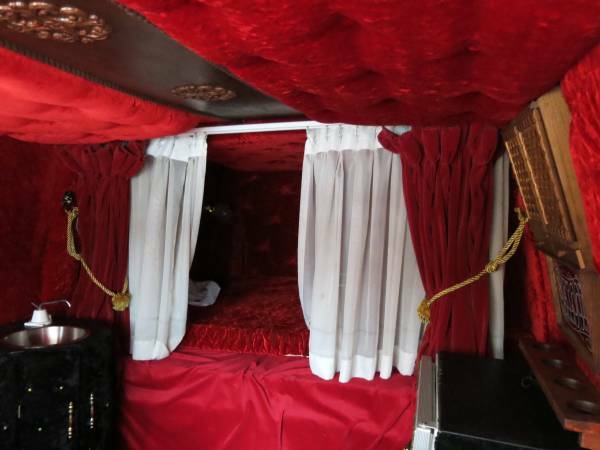 "There is also a pump sink, icebox, and bed in back with curtains...you guessed it...red velvet." You know, for kids. 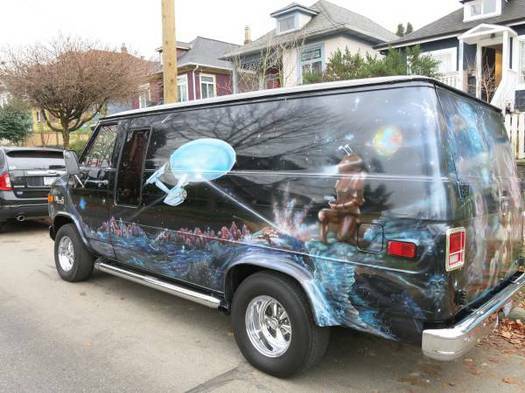 While the mural on the driver's side shows the USS Enterprise firing phasers at an alien planet from an episode I don't immediately recall, the passenger side, the one with the sliding door, the one facing the preschool or daycare dropoff curb, has Commander Spock and a colleague promoting the Federation's enlightened policies regarding working moms and breastfeeding.